Yesterday, Apple reported a number of records that show the company still has plenty of upside potential. According to Peter Oppenheimer: Apple CFO, they brought in more revenue last quarter than any tech company in history for a single quarter. Apple sold a record number of iPads, and a record number of iPhones. Despite having a lower priced option, more people gravitated to the more expensive offerings, significantly raising the average sales price per unit. They tied the record amount of profit in the company's history, significantly outpacing their closest competitor. 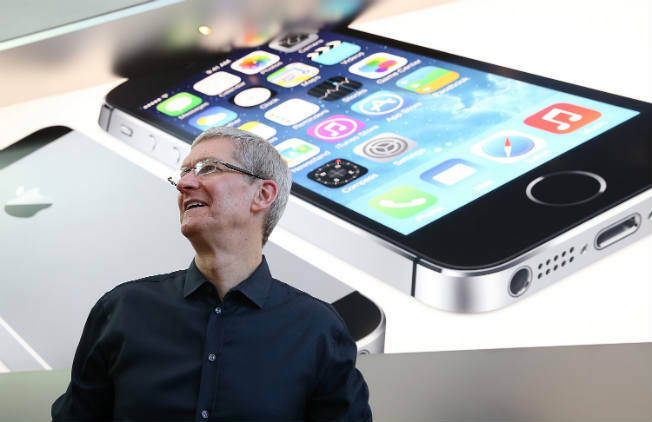 At 51 million (mostly 5s) iPhones sold, some are calling it an iPhone sales disappointment . Why, and what can Apple do about it? I refuse to link to such garbage. The financial press works harder and harder to find the dark cloud in Apple's every silver lining, snatching defeat out of the jaws of victory. Wall Street refuses to let Apple's financials stand in the way of their narrative. Wall Street insists they know best how to run Apple's business. Apple, however, keeps making record amounts of money by ignoring Wall Street's advice. This makes Wall Street very angry. According to Wall street, Apple is supposed to have a cheap iPhone that they lose money on in third-world markets, but gain marketshare and profitless revenue like everyone else. Apple is supposed to be buying high-profile startups and established, but failing businesses for billions of dollars each like Google does. Apple is supposed to show prototypes of secret projects they are working on like everyone else. Apple is supposed to be releasing ten new products each quarter, throwing everything against the wall to see what sticks like Samsung. Apple is doing none of that, and Wall Street is convinced that Apple's fall is just around the corner. Apple is unique in another important way that makes all this madness possible. Apple is one of the only companies that provides actual sales numbers for major products. Analysts can play this game of predicting iPhone sales because Apple provides the numbers every quarter. That, in turn, allows analysts to be disappointed if the actual number was lower than their wild guess. No matter how high the number, it has the potential to disappoint any analyst who guesses wrong. Apple can never win this game. We do not see the same game played with Apple's competitors because they never provide meaningful sales numbers. How many Kindles did Amazon sell last quarter? You will never know because Amazon will never tell. They will only report that sales are higher, and that becomes the story. Any number Apple offers can be attacked by Wall Street and competitors. 51 million iPhones becomes weak and disappointing. It should have been 60 million. No one has any expectation that Samsung should be selling 60 million high-end, Galaxy S devices. You will never see that headline. The average sales price is not a factor for Apple's competitors. Wall Street does not hold anyone accountable for that number except Apple. No one else gives out that number. No matter what number Apple gives, it can arbitrarily be labeled disappointing. The double standard does not end with the numbers game. It also involves the innovation game. Apple is expected to disrupt industries every year. It is not enough that they iterate on what they have already done. They must come out with something completely new. Not one of Apple's competitors is ever asked about new, disruptive technologies and products. Samsung is expected to iterate on what Apple creates. If they do that, they are meeting Wall Street's expectations. Apple, on the other hand, is expected to create new product categories on which the industry can iterate. Again, not one of their competitors labors under the same expectation. Apple could create an iPad that converts into a private jet, and analysts would yawn, complaining that it is still an iPad, and demanding to know about the next, new thing. Newer:Google sells Motorola to Lenovo for $2.91B: a study in three failuresOlder:Apple Reports First Quarter Results: Will someone please come sweep up these broken records?